BTS Dryers - AGC Creation There are 21 products. Here you find our drying equipment Evolutech. Innovative, practical and economical, our EVOLUTECH range is the best combination of technology with the best price. 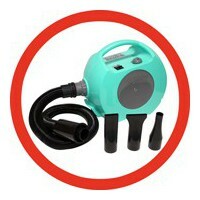 Complete Grooming station - BTS 3000 Turquoise with support for hose ref M934- In home or pet shop, there fur everywhere we imagined a device that aspirate the hairand becomes a true grooming station with its 6 instruments.